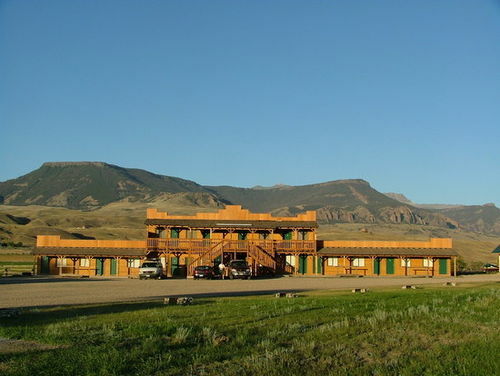 Yellowstone Valley Inn & RV has a quiet, rustic lodge, modern log cabins, RV Park and hotel on the Shoshone River. Free Wi-Fi is available to all lodging & RV park guests property-wide and 90 TV channels available in all rooms. Enjoy dining in the cafe or Western dining room for all your meals. Relax with your favorite beverage in the Western Saloon. The lobby is a great place to browse the gift shop, use your laptop, relax with a book or drop a postcard to a friend. The cabin rooms have knotty pine interiors with vaulted ceilings. All rooms are tastefully furnished and fully carpeted. There are two suite rooms off the end of the Lodge. Open year-round. Pets welcome.